A soft white ball is used in arena polo. Arena Polo is played with three players per team in an enclosure that measures approximately 100 yards in length and 50 yards in width. Walls are suggested to be no less than 4’ in height. A regulation game consists of four chukkers/periods of seven and one-half minutes each. Riders change horses at the end of each chukker/period. The basic rules of the game are similar to those in field polo, and are concerned with the safety of the horses and riders. Right-of-way, and line of the ball are two phrases that will be explained to you by the announcer. In the meantime, sit back and enjoy the action. 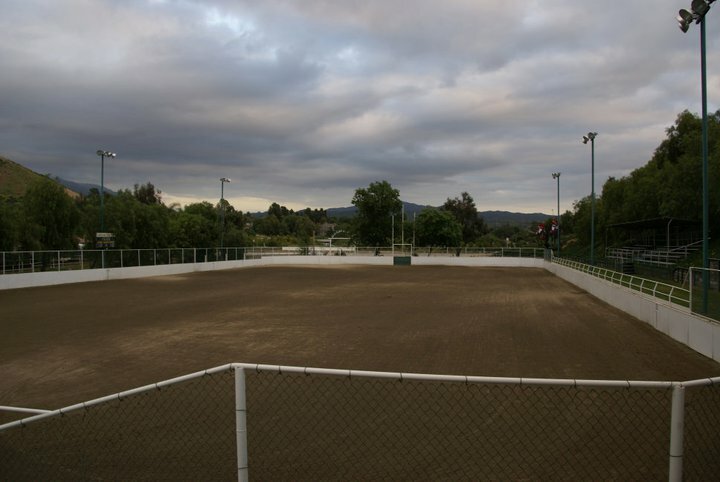 Arena Polo does not require the large number of horses to play that Outdoor/Grass Polo demands. Many players use two horses, alternating horses each chukka/period. The Arena Polo ball is similar to a mini soccer ball, larger than the small hard plastic ball used outdoors. While the larger size gives the new player confidence in learning to hit the ball, proper technique is necessary because the arena game is played on a dirt surface with the ball bouncing on the uneven surface and off the arena wall. Arena Polo is extremely exciting, with many changes in direction, fast action and a great spectator sport. Arena Polo can be an excellent introduction to polo and many of the players start in the Arena. With a qualified instructor, a new player can quickly learn proper hitting techniques and improve riding skills. With the constant change of direction of play in the arena, the player learns to recognize and properly enter the line and right of way, change from offense to defense and the need for team play. By playing in a confined arena, players feel more secure and with the ball rebounding off the arena walls, a player has more opportunities to hit the ball. Horses, while moving with quick bursts of speed, are more under control. Players are taught proper team play, how to hit a pass to teammates, and to learn to anticipate opponent’s plays and strategies. I’d post to let you know. The layout lpok great though! would like to know if there is a viewing section or bleachers or??? 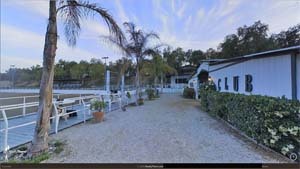 for viewing the arena polo matches. Thank You also what are the prices for the tickets?